On 11 April, Dermalogica launched its new Ultra Calming product range to its clients - the skincare centres that sell its products. The event took place on a Monday, when the centres are usually closed, to attract the maximum number of delegates. 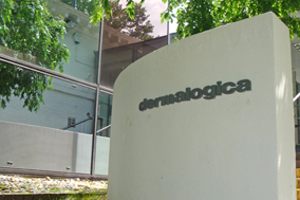 Dermalogica held morning and afternoon events at nine of its training centres across the country, because they were easy for delegates to access. Dermalogica events co-ordinator Joanne Quinn says: "Our training centres work because they are spread across the country, our clients know where they are, plus there are no charges so it helps to keep the budget down." The event consisted of a presentation on the science and ingredients in the line, marketing tips to sell the new range and training on how to hold an Ultra Calming event. Delegates were given a gift of an event pack to help them run a successful event. "We were extremely happy with the way the launch went. We had changed the format slightly from the previous launches," says Quinn. "This time, our guests had rotating workshops to learn about the product range and how to market it. Guests said they really liked this way of learning because they felt more engaged."